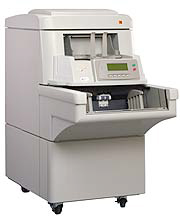 Microfilm Products has many high quality source document scanners including Kodak and Fujitsu. These scanners have been selected based upon their ability to provide the best image quality, highest speed and most reliable paper handling systems. The typical high-end Kodak scanner is rated at 60,000 pages per 8-hour shift, while the Fujitsu scanners are rated at between 10,000 and 20,000 pages per shift. These scanners can provide both single-sided (simplex) as well as double-sided (duplex) scanning capabilities. In addition the scanners can be used to capture images in either black and white, grayscale or color. 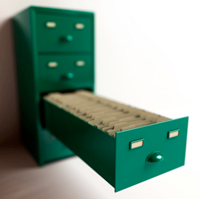 We have the necessary hardware to scan over one million pages per week. Capabilities are constantly being enhanced as new requirements arise. Our scanning software controls all aspects of the scanners capabilities including resolution, size, orientation and brightness. The software also allows for the starting and stopping of the scanner without loss of integrity of the document set. The scanning software will also automatically de-skew images as they are processed. Automatic rotation, filtering and blank page suppression can also be programmed. The scanners can read bar-coded document separator sheets and intelligent bar-code data which is used to automatically populate fields in a database. 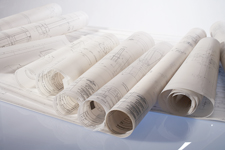 We are equipped with various large format scanners with the capacity of scanning over 5,000 engineering drawings and maps per day. Drawings can be captured as black and white, grayscale or color images. We uses the highest quality scanners available on the market. All scanners use dynamic thresholding as well as user defined settings for contrast, brightness and line/image enhancement. Many organizations have large quantities of microfilm, microfiche, and slides (typically 16mm, 35mm and 70mm). Microfilm Products Company has all the necessary scanning equipment to accommodate the high quality image capture from film-based media. Microfilm Products Company has film scanning equipment that can capture both 16mm and 35mm roll film as well as the equipment to capture images from 16mm, 35mm and 70mm microfiche, whether it be Step and Repeat, Jacketed or COM (Computer Output Microfilm). Images can be captured from black and white or grayscale. Depending on the quality of film, we can scan over one million images per week. 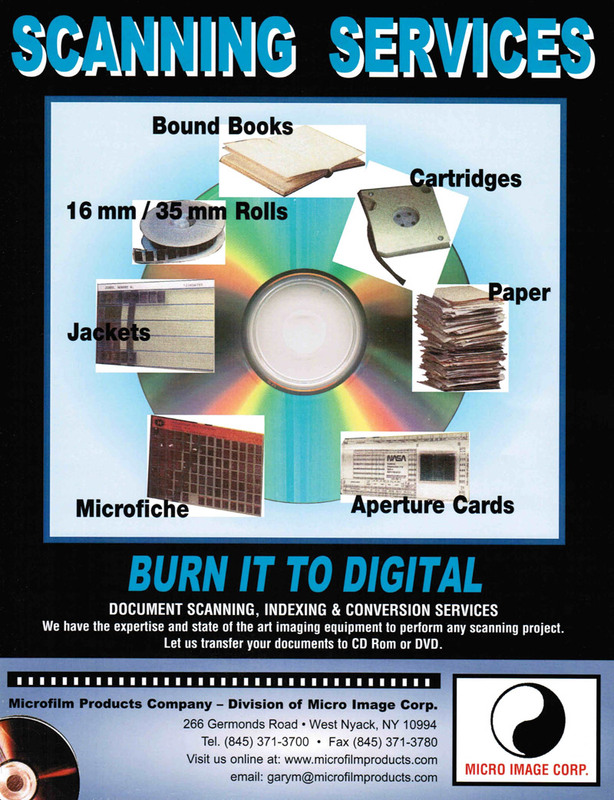 Microfilm Products Company can perform high quality scanning of 35mm aperture cards. 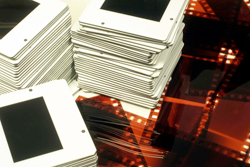 Microfilm Products Company has the capacity to scan hundreds of thousands of aperture cards on a monthly basis. In addition, we can provide both black and white and grayscale image formats.